Start off your visit on the 23rd (Tue): explore the striking landscape of Pyha-Luosto National Park. For other places to visit, traveler tips, reviews, and more tourist information, read Pyhatunturi online sightseeing planner . Stockholm, Sweden to Pyhatunturi is an approximately 10-hour flight. You can also drive. The time zone difference when traveling from Stockholm to Pyhatunturi is 1 hour. Traveling from Stockholm in October, expect Pyhatunturi to be little chillier, temps between 3°C and -2°C. 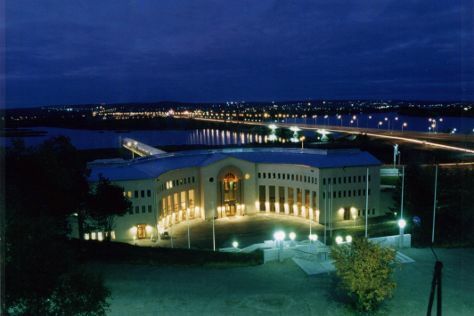 Cap off your sightseeing on the 23rd (Tue) early enough to travel to Rovaniemi. On the 24th (Wed), engage your brain at Pilke Science Centre, take an in-depth tour of Arktikum, then see Santa Claus Office, and finally get in on the family fun at Santa Claus Village. Get ready for a full day of sightseeing on the next day: get in on the family fun at SantaPark, then take an exotic tour of a safari tour, and then look for gifts at Your Piece Of Finland. To see more things to do, ratings, maps, and tourist information, you can read our Rovaniemi holiday website . Traveling by car from Pyhatunturi to Rovaniemi takes 2 hours. In October, daily temperatures in Rovaniemi can reach 3°C, while at night they dip to -1°C. Wrap up your sightseeing on the 25th (Thu) early enough to travel back home.